WALKATHON KanWork 2016 | JustRunLah! 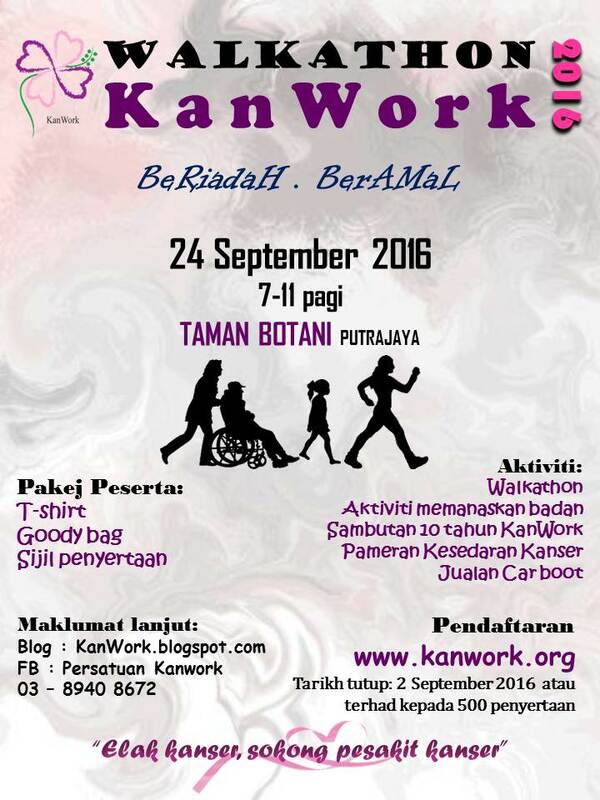 WALKATHON KanWork 2016 is a fun and charity event. The purpose of this event is to increase the awareness of cancer , encourage healthy lifestyle among the community and raise funds for implementation of the support program for cancer patients. This Walkathon is also held in conjunction with celebration of 10 years KanWork.